Evan jones is an undergraduate journalism student at boston university. He specializes in long-form photojournalism and portraiture. underground bike gangs in Dorchester, and the daily struggle of heroin addicts. 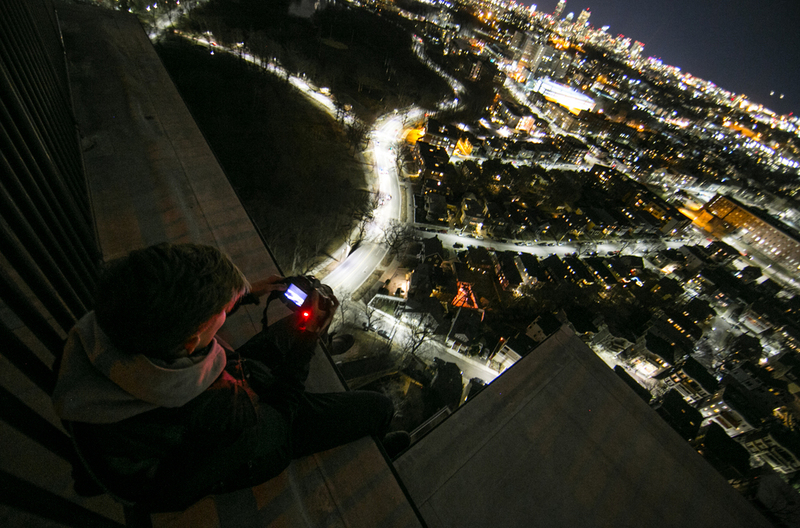 When not out on assignment, or doing school work, evan enjoys exploring the rooftops of Boston's skyscrapers. 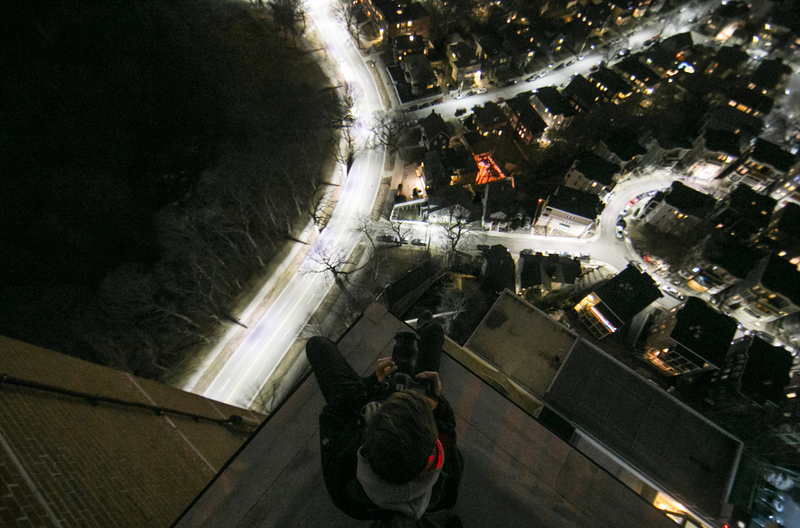 This is known as "rooftopping." The term was coined when the trend gained immense popularity on Instagram. or just a pure adrenalin rush. 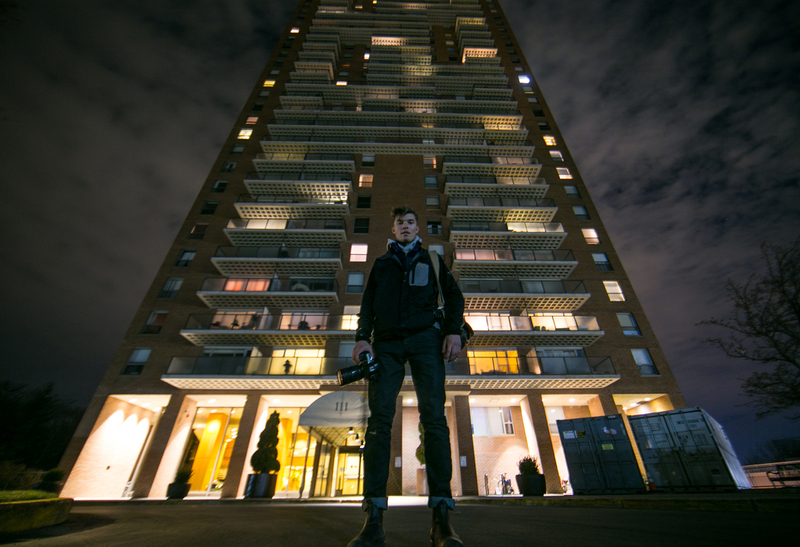 I followed Evan on one of his adventures to a 32 story high rise apartment building in JAMAICA Plain, MA.